The presentation also stated that the cost for the original UFB1 project is "tracking towards the top end of guidance" at between $1.75 billion and $1.8 billion, indicating tight cost controls will remain. Chorus said it expected to increase spending incrementally, by around $10 million and $15 million, above 2018 levels on innovation, regulatory processes, branding and other transformation-related one-off costs. "Excluding this, we expect total costs to be broadly consistent with 2018," the presentation added. As reported by Reseller News, investigations by multiple agencies found systemic failures and exploitation in the way subcontractors were treating workers on the rollout. “It’s very disappointing that a national infrastructure project of this scale which is well resourced has failed to monitor compliance with basic employment standards," Labour Inspectorate national manager Stu Lumsden said. Meanwhile, completed installations increased 21 per cent during the year, lifting to 156,000 from 129,000, with the average lead time for an installation dropping from 22 days to 13. The increase in contractor numbers is likely to hold during 2019 year, which is described in the presentation as the "peak communal build year" for the UFB project. The cost per installation was between $1050 and $1250. 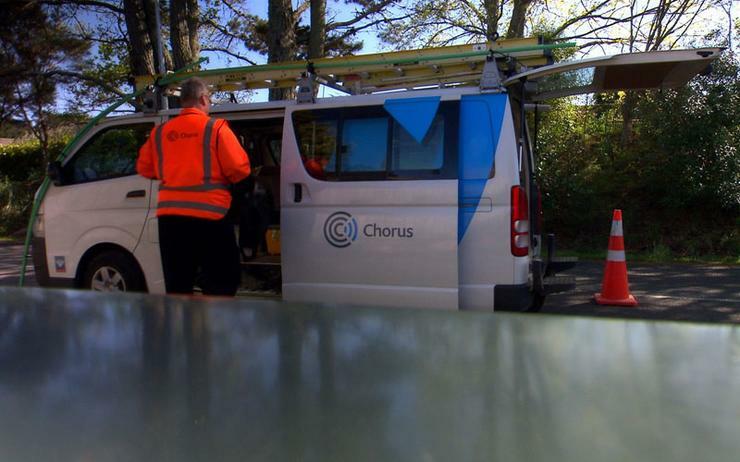 Chorus said it was aiming to boost the number of installations completed in one day from 25 per cent to 50 per cent by Christmas. "Intense retail competition is helping broaden the market by providing customers with attractive plans and pricing (e.g. free smart TV; free Netflix; bundled with electricity)," Chorus said. Unlimited data plans are also becoming the norm as streaming video on demand grows, while monthly average data usage per household connection on Chorus' network grew to 221GB in September from 210GB in June.